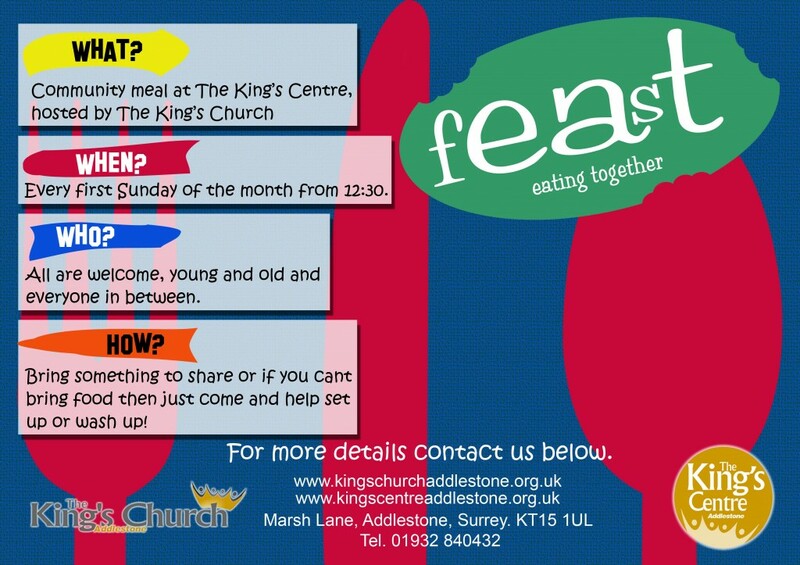 fEAsT is one of the most important and central things we do at The King’s Centre. Each month we host a shared meal which everyone in our community is invited to. Eating together is a great way of getting to know one another and building community which is what we are all about. We share food, time, friendship, conversation, laughter, and the odd tear. In short, we share life together. So come along and find your place at the table!